This action-packed, personalized CD is filled with adventure stories for children up to age 7. 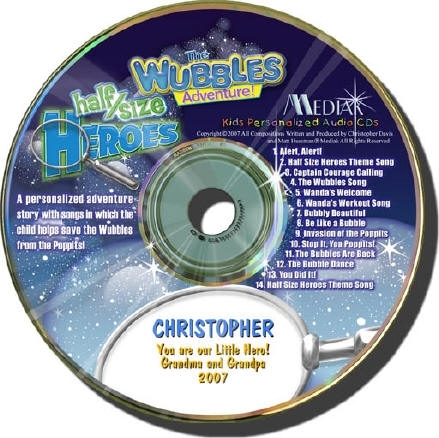 The Wubbles Adventure features the child's name 53 times, is upbeat, energetic, and loaded with exciting music and sounds bringing to life an experience a child can enjoy for years. We can personalize the CD with a name and a date. Listen to sample songs below.